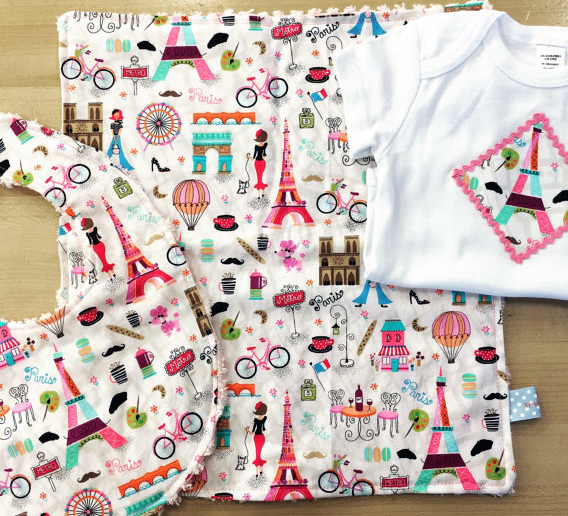 Simply Sweet Sewn Baby Clothes, Dressed Up with Sew Cute Fabrics. 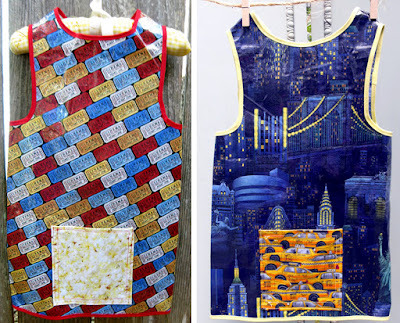 From Newborns to Budding Artists with Patterns Full of Personality. Isn't it amazing how the desire to hand make a gift for friends and family can turn into a life long passion and even a business? 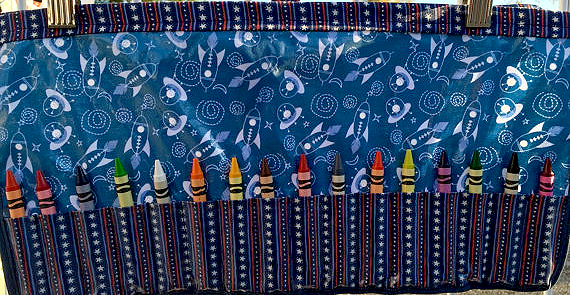 That's how it all stared for Shannon Kors of Sew Kors, and I'm sure glad she continued to explore this art to now offer a wonderful array of goodies for all children (even though I don't have any yet). 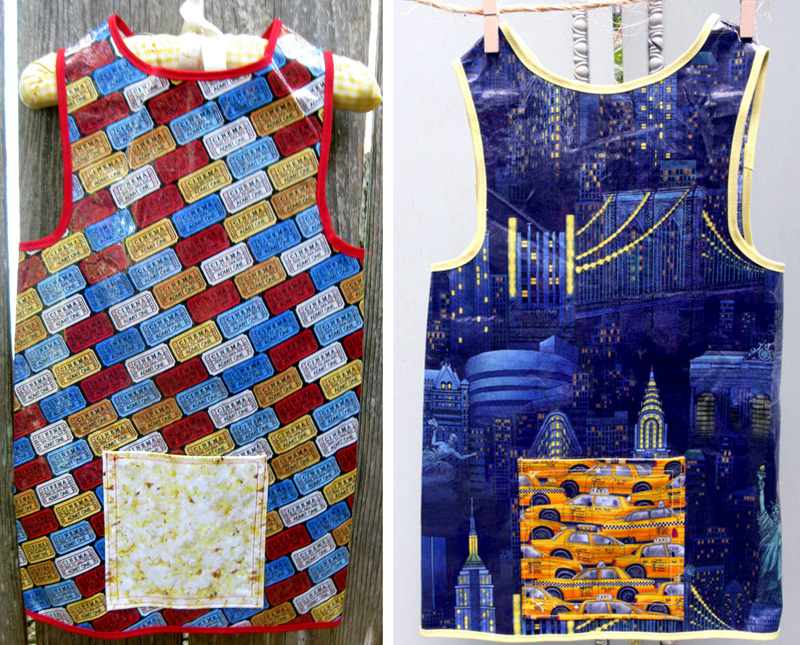 Shannon has a handful of favorite designs that she makes using a variety of fun fabrics. 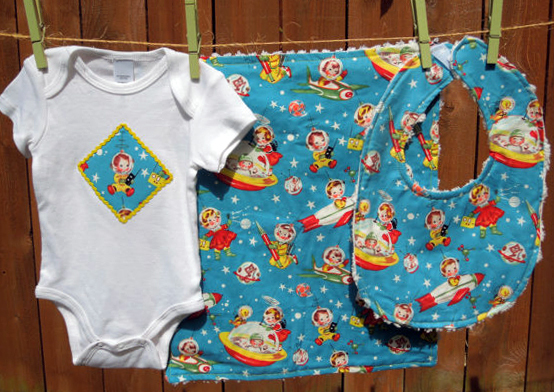 Her classic offering is a onesie, bib and burp cloth all in matching patterns like robots, airplanes, animals, travel. To age with your child, she has also come up with clever reversible dresses that feature creatively paired fabrics and children's craft aprons using oilcloth to keep things clean. I love how Sew Kors clothes celebrate the fun in childhood and encourage play! While she is very good at sewing, if you ask Shannon what she loves most, I imagine she'd light up about her fabrics. Some people walk into a craft store and get overwhelmed, but this local talent goes straight to the textiles and starts to visualize new designs with uniquely complementary patterns. For example, she just recently came up with an adorable new picnic set using a cute fruit pattern on one side and ants on the other! I have always been a fan of Arts & Crafts that are as useful as they are beautiful, and in this case Sew Kors is right on target. Any kid would look adorable and get great use out of her work! Sew cute if you ask me!